In our last blog, Identifying Barriers to Marketing Automation Success we discussed the critical factors that are a barrier to a successful implementation of marketing automation (MA). Today we share with our readers two ingenious tips that overcome the barriers to marketing automation success. Resistance to change, internal politics, lack of understanding and training are some of the key barriers to marketing automation implementation and success. Make sure that your MA solution provider schedules detailed training programs for your team. Even after implementation all the users should be given training: periodically or as needed. Lack of resources and marketing automation understanding has been a contributing factor to the failure of marketing automation. In order to overcome this barrier, it is advisable to hire a marketing automation consultant – in-house or outsourced. Many companies implement MA solutions without mutually agreeing on goals for the MA project. You need a team that can establish measurable goals for all your marketing initiatives manage your campaigns and be able to evaluate the results. A professional marketing automation consultant will be perfect to guide and lead this team. If you don’t want to hire the consultant in-house then outsourcing the work will also do. Most aMarketForce marketing automation clients, companies large and small have needed help in campaign management, execution and tracking. 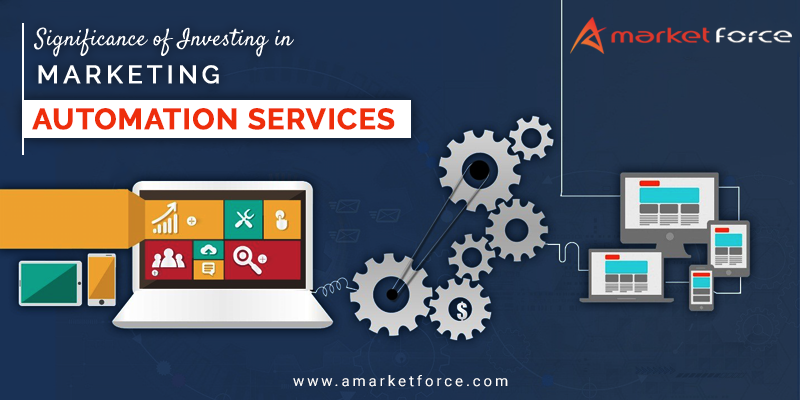 About aMarketForce’s Marketing Automation Services: aMarketForce helps companies with B@B marketing automation strategy from MA solution selection, implementation, training, integration with CRM and other systems, marketing automation campaign execution, MA optimization and management services. To know more about aMarketforce’s Marketing Automation Services, please email us at info@amarketforce.com. To know more about our B2B marketing automation services call us at 408-342-1700 to discuss your situation. Request a quote.